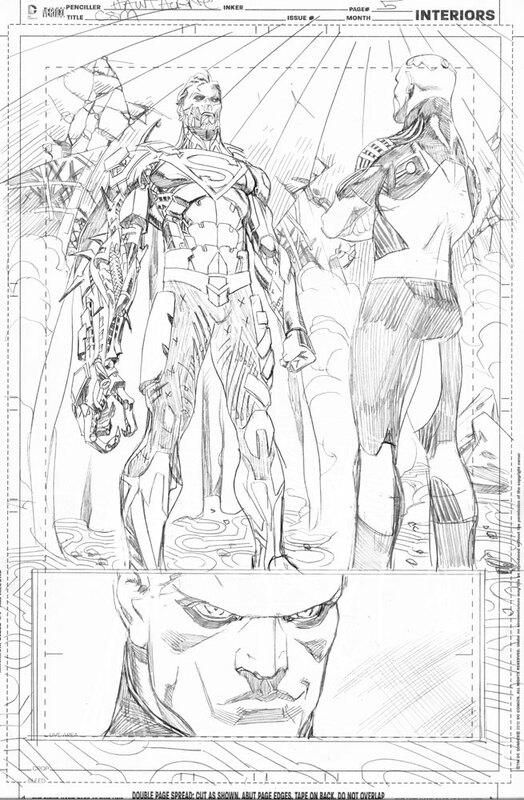 Mike Hawthorne: Action Comics 23.1 preview! 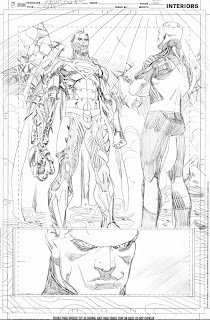 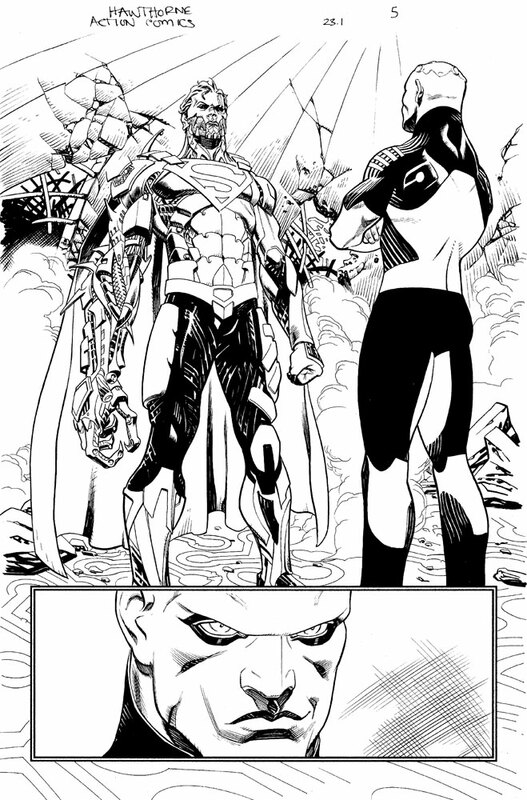 DC released this finished teaser page from my upcoming issue of Action Comics, for the big villain's month event so I thought I'd share the pencils and inks too. I know that color is required in mainstream comics (and the color artists are doing their best), but the printed comics rarely look as good to me as your black and white drawings...love the execution of the maniacal mechanical arm!